Vitamin D has been shown to significantly reduce the risk of colds and flu in recent studies. We explain why the “sunshine vitamin” is so called, and why we need it more than ever. Not having enough of Vitamin D in our bodies is linked to tiredness and low mood during the winter, with a lack of sunshine commonly making us deficient. 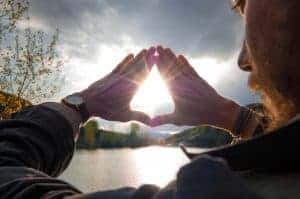 A recent study published in the British Medical Journal suggest that adding more vitamin D to our diets can make us healthier. It can also reduceg NHS costs, through decreasing the risk of colds, flu and other respiratory infections such as pneumonia and bronchitis. About 70% of the UK population get a respiratory infection each year, making these most common reason we see our doctor. The study, undertaken by Queen Mary University of London, analysed data from 25 clinical trials involving around 11,000 people from 14 countries. The consumption of vitamin D supplements daily or weekly showed a universal benefit for all research participants. Vitamin D is commonly known as the sunshine vitamin, because the sun’s rays on our skin is our main way of producing it. From March to September, the sun promotes vitamin D synthesis from cholesterol in the skin, so no sunshine means no vitamin D production. Therefore Vitamin D is one of the most important vitamins that we need to supplement during the winter months. According to the NHS, we need vitamin D to help the body absorb calcium and phosphate from our diet. These minerals are important for healthy bones, teeth and muscles, and is therefore important to help reduce the risk of osteoporosis later in life. This is particularly important for coffee drinkers, as drinking caffeine makes our bodies lose calcium. Twenty percent of the population are, in fact, vitamin D deficient. This can lead to weaker bones, decreased immune function (and therefore high frequency of colds), lower mood and fatigue. 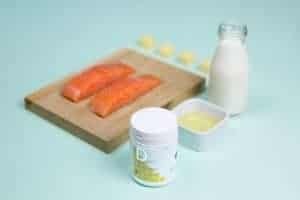 Public Health England recently advised that during the autumn and winter, all children and adults should be taking supplements with a minimum of ten micrograms of vitamin D daily. Not only will these help our immune systems, but also our bones. This vitamin is crucial for bone mineral density and muscle strength. Too little vitamin D can still pose a health risk and lead to some deficiency symptoms. Low blood levels of the vitamin have been associated with increased risk of death from cardiovascular disease, cognitive impairment in older adults, severe asthma in children, and even cancer in some instances. In the spring or summer if you follow a healthy balanced diet that is varied and not overly processed and, if you then combine this with short bursts of sunshine you may not need to take a supplement. But in order to get sufficient vitamin D from dietary sources in the colder and darker months, you need to be eating lots of oily fish such as sardines, salmon and mackerel. It is also found in dairy products, but you’d probably need to eat seven or eight small yoghurt pots together with two to three tubs of berries, or a 10-11 egg omelette to even get close to the recommended amount! Many cereals, juices and milk alternatives are fortified with Vitamin D; but again you’d need around 10 bowls of the cereal with two to three glasses of the juice. However, for most of us during the winter or Autumn months we recommend supplementation of at least 10mcg. Supplements offer a fast effective way to make sure that you are getting your daily dose – especially if you aren’t consciously trying to include vitamin D rich foods in your diet. Check out our store to see the Vitamin D supplements stocked at Vitamin Buddy. You could also make sure that you eat more oily fish during this period (if you are not vegetarian or vegan) and eat more eggs, tofu, and mushrooms that have been exposed to light.